My name is Steffen. 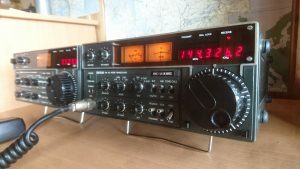 Born in Denmark back in 1961 but quite new to ham radio. I got my license in november 2016 and took the technician, the general and the extra all at once. I’m educated Radio technician from the late 70′ and electronics engineer later on and worked with marine electronics until the late 90’. Since then I became á computer technician and worked with that for the last many years. 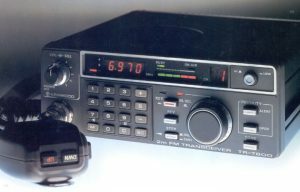 As everyone else my age I was playing around with CB radios in the late 70’s and the early 80’s but lost interest when the micro computer came around and haven’t touch á radio until recently. 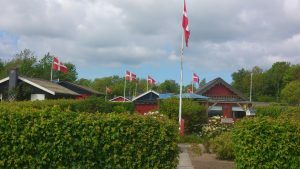 Some years ago I bourgh á small allotment right outside the city of Aalborg where I could live during summertime and grow some vegetables and relax when I retire. It’s á quiet place in the sun with good neighbors and without that many rules. The only connection to existing infrastructure is running water and that only during summertime. My mom said that I’m good at so many things but gardening is just not one of them so why an allotment? She’s probably right but It gives me freedom, space around me and á opportunity to do whatever I like. I always have interest for electronics, computers and radio communication and now I got room for playing around with antennas between flowers and vegetables so why not get licensed at get on the air as soon as possible and so I did. The style in the allotment is old fashion. At least I try to but ofcourse there is some compromise. Television, HiFi, laptop and internet is hard to find thirty to forty years old. Especially at 12 volts with low current so I just try to hide it away as good as I can. That doesn’t go for the radio shack. It’s quite easy to find á nice old radio everyone can afford. 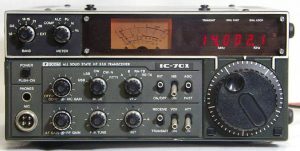 My radio shack consists an ICOM IC-701 HF rig from 1978. A 100W station in good condition but some of the buttons have to be replaced over time and á calibration will be needed too course it´s á little beside frequency but it still works well after forty years in duty. 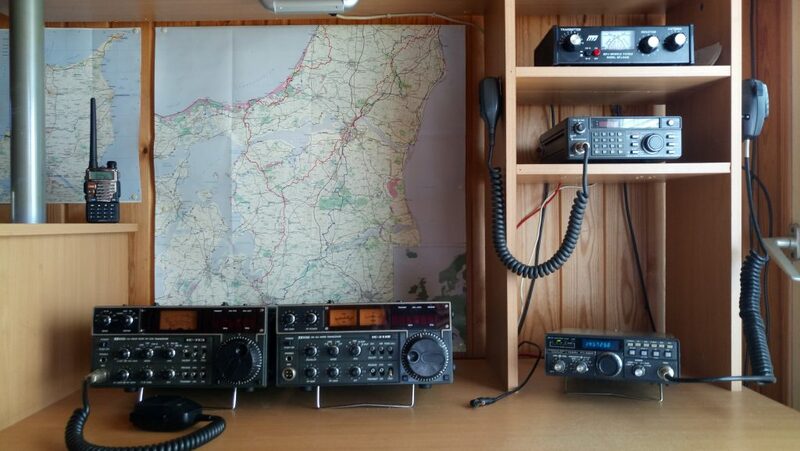 My VHF station. is an ICOM IC-211E all-mode station. It’s only 10W but I dont mind. I use it for SSB traffic in the late hours at night. It needs á calibration too couse it’s á bit off frequency especially on SSB but it also works fine after all these years and I get around prety well. My primary VHF station in the allotment is á Kenwood TM-7800 2-meter station from the early 80′. It’s á 25W station and doesn´t have that many funtions but it´s in á good condition too and work’s perfectly especially for repeater traffic. My HF antenna is á 2 x 20 meter dipole with á 400 ohm window parallel feedline raised in an inverted V right up in the flagpole and it’s tuned by my MFJ-945D antenna tuner. My VHF/UHF antenna is á Diamond X510 placed right on top of the roof. So here it is. The shack on Radio Retro. Nice and clean and with the ICOM rig’s in the middle and the Kenwood and the antenna tuner on the right side . The YAESU FT-480R is just á guest and I use that for SSB at home. The small handheld Baofeng radio in the left side I used for UHF repeater traffic and some local VHF simplex frequencies.